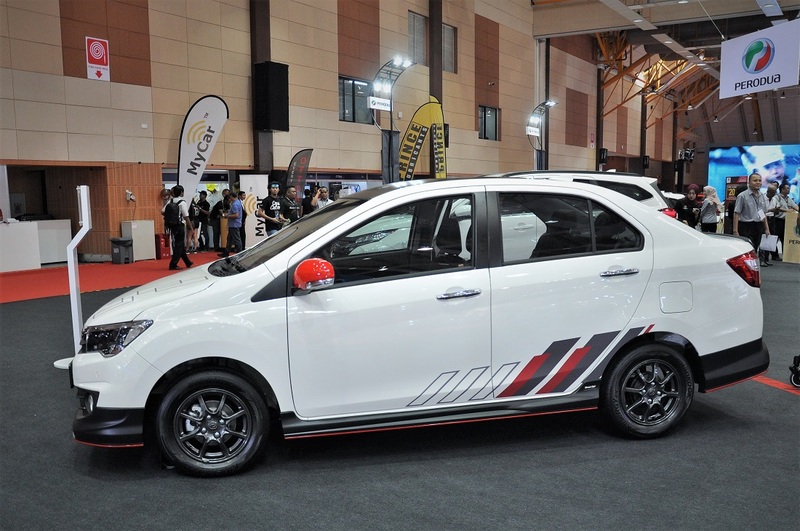 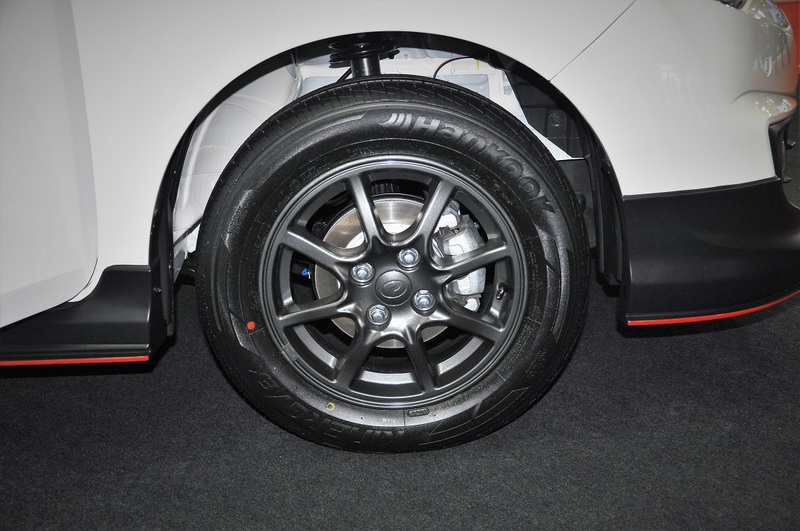 At the official launch of the Malaysia Autoshow 2019, Perodua introduced the Perodua Bezza Limited Edition and has limited it to only 50 units available for booking only at the four-day event (11 – 14 April; at MAEPS Serdang). The Bezza Limited Edition is priced at RM44,890 on the road, without insurance. “The Perodua Bezza Limited Edition is all about sporty individuality. 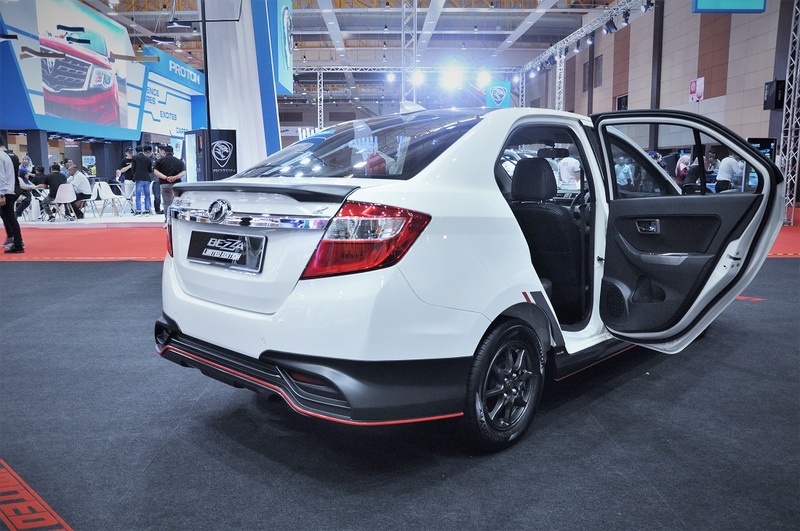 With GearUp accessories exclusive to this model, you can now proudly stand out from the crowd in Malaysia’s favourite sedan!” said Dato’ Dr Zahari, Perodua Sales Sdn Bhd Managing Director. 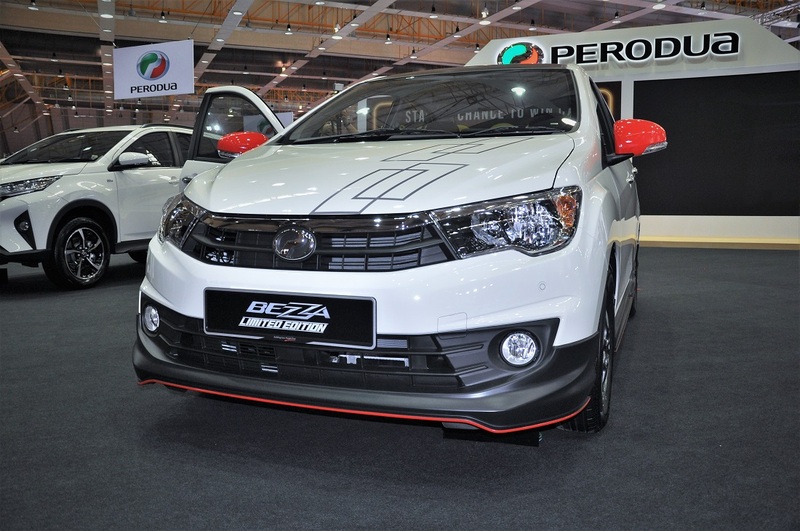 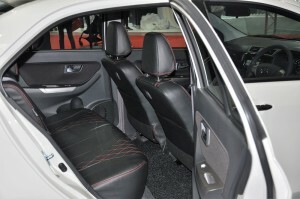 The Perodua Bezza Limited Edition is based on the Bezza 1.3 Premium X (which retails for RM41,890). 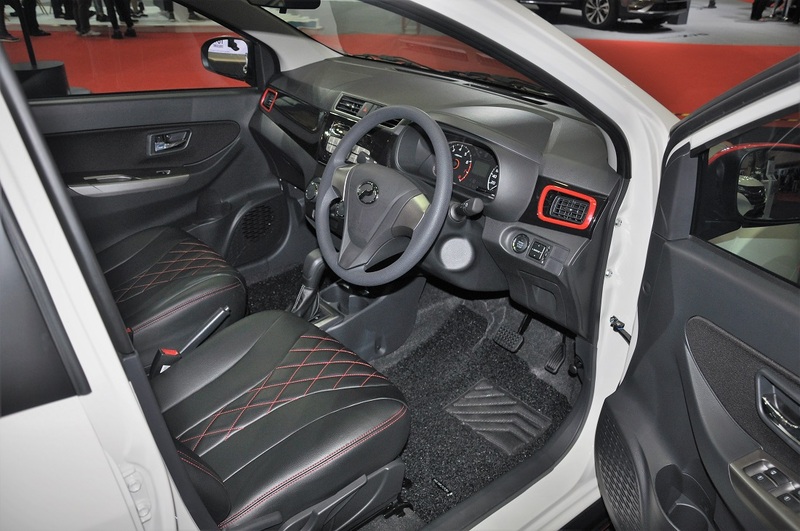 It comes in an Ivory White exterior with a full GearUp body kit finished in matte black with an all-round red lower pinstripe, a matte black rear spoiler, a blacked-out roof and dark grey alloys. Rounding off its sporty exterior are red door mirror covers and geometric graphics on the bonnet and lower sides. The interior is also done up with the addition of GearUp seat covers with new red stitching, red air vent surrounds and GearUp coil mats. 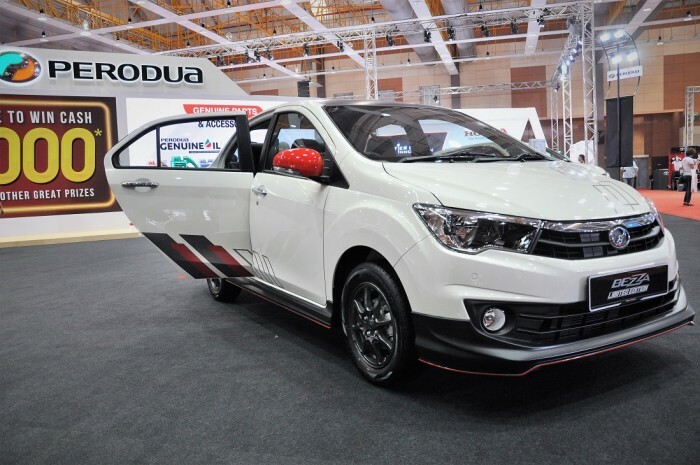 Perodua has delivered over 145,000 units of its first sedan model since its launch in 2016. 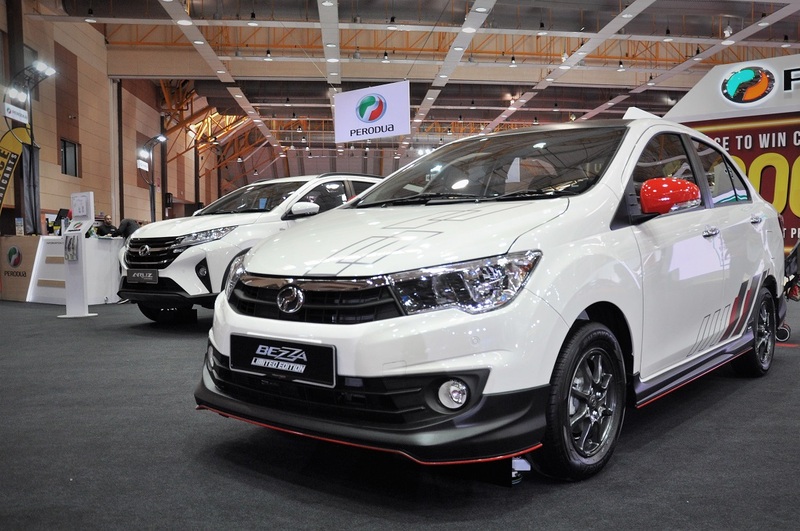 “The continued success of the Perodua Bezza is attributable to its fuel efficiency, quality, dependability, space, practicality, ease to drive and low ownership costs – all in a compact, great-value package. We thank all Malaysians for strongly supporting the Bezza and all our other models. We will continue to improve ourselves to serve you even better,” said Dato’ Dr Zahari. 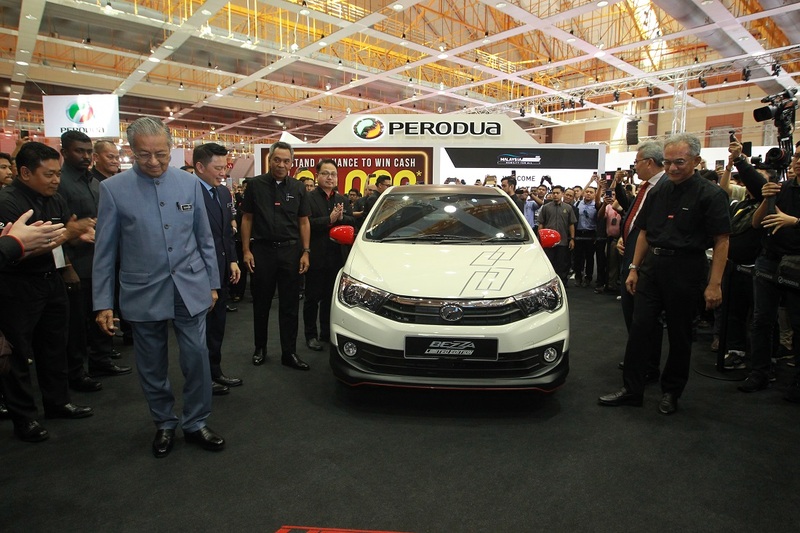 Present to unveil the Bezza Limited Edition was Malaysia Prime Minister YAB Tun Dr Mahathir Mohamad and Perodua Global Manufacturing Sdn Bhd President YBhg Datuk Ahmad Suhaimi Hashim. 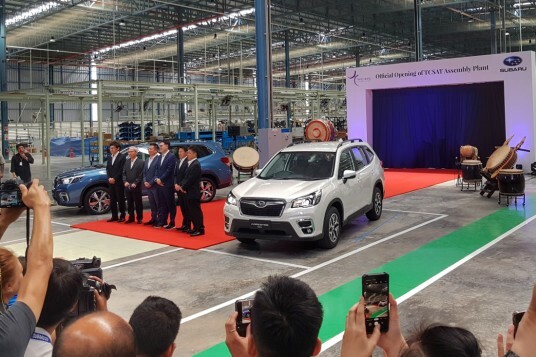 Others in attendance were Malaysian Minister of International Trade and Industry YB Datuk Ignatius Darell Leiking; Malaysia Automotive, Robotics and IoT Institute (MARii) Chief Executive Officer YBhg Dato’ Madani Sahari and Perodua Sales Sdn Bhd Managing Director YBhg Dato’ Dr Zahari Husin.